Directly inspired by the car industry’s onboard computers, the Ship Control’s intuitive user-friendly interface centralizes all the boat’s electronic controls. Ship control is a web interface that simplifies the operation of many of the boat’s functions. Simple, safe, comprehensive and user-friendly, Ship control is a real in-built onboard computer providing navigational assistance, as well as many help with aspects of life on board. Already in use on the Gran Turismo 50 and the Swift Trawler 47, it will quickly be rolled out on the other BENETEAU sailing yachts and motorboats and each model will have their own distinctive version. With the Ship control a set of universal icons allows you to operate the main functions of the boat. Everything is at your fingertips and the boat obeys your every command. 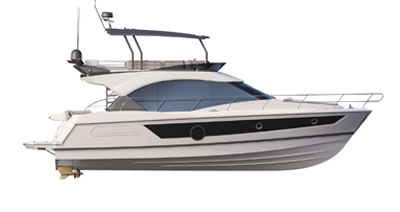 On the Gran Turismo 50 and the Swift Trawler 47, you can control your navigational data, fluids and engine. You can also control the lights, air-conditioning, Hi-Fi, and manage electrical sources (AC) and bilge pumps. The number and nature of the functions operated by the Seayo are adapted to each different boat model.